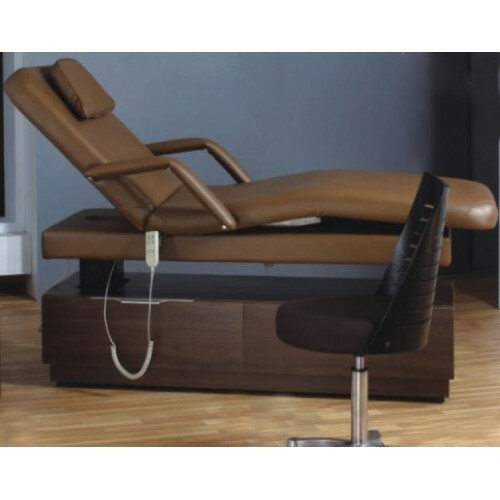 Massage table KRE 40, buy at the price of 2042 in Europe. Massage table electric KRE 40 is one of the best modern inventions. This massage table with electric adjustment is an integral part of the massage room, a fitness center and cosmetic salon. It is designed not only for different types of massages, but also for a variety of cosmetic and therapeutic treatments. This table meets all standard requirements, which tell in what position human body must be in order to achieve complete relaxation. Massage table is very robust and can withstand heavy loads.